Applications for recounting of votes made by several candidates were accepted on Friday by the returning officers (ROs) of the respective constituencies. The applications were made in NA-129 Lahore-V, NA-131 Lahore-VII, NA-108 Faisalabad-VIII and Na-249. The requests were submitted by the losing candidates in the constituencies — Pakistan Tehreek-i-Insaf’s (PTI) Abdul Aleem Khan (NA-129) and Pakistan Muslim League-Nawaz’s (PML-N) Saad Rafique (NA-131) and Abid Sher Ali (NA-108). 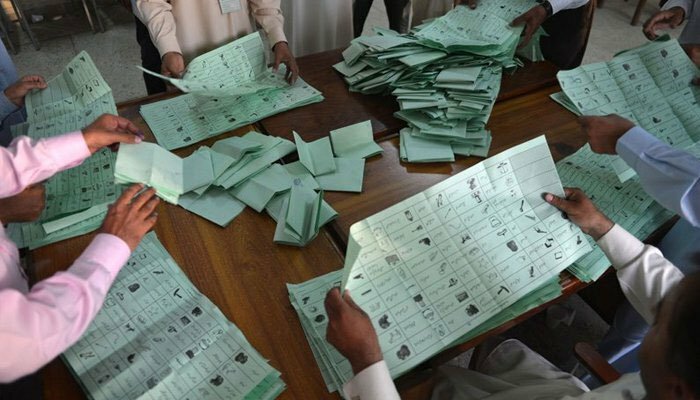 Applications for recounting of votes, filed by Pakistan People’s Party (PPP) leaders Abdul Qadir Gilani in NA-154 Multan-I and Ali Musa Gilani in NA-157 Multan-IV with the ROs concerned have been approved. However, PML-N President Shehbaz Sharif’s application was rejected in NA-249 by the RO who had lost against PTI’s Faisal Vawda who had won the constituency with a narrow margin of about 700 votes. Sharif had received 34,626 whereas Vawda received 35,344 votes. Aleem Khan had lost to PML-N’s Ayaz Sadiq by around 8,000 votes, according to the preliminary results. Rafique and Ali had lost to Imran Khan and Farrukh Habib (both PTI candidates) with very thin margins (under 1,500).